Featuring an express check-in and check-out feature, valet parking and a butler service, the Egerton House Hotel provides a cosy base when visiting London. This property is conveniently located in Central London. This luxury 5-star hotel provides a whole host of superior facilities, including a limousine service. It also offers meeting rooms, a 24 hour reception and 24 hour room service. All of the elegant rooms at the Egerton House Hotel feature a mini bar, king-size bedding and an iPod docking station. All individual bathrooms are equipped with slippers, complimentary toiletries and bathrobes. Guests are welcome to have a beverage at the Egerton House’s charming and well-equipped bar, before savouring a meal in the restaurant. 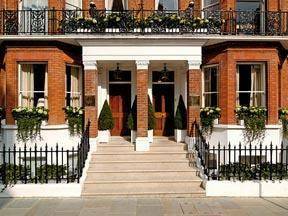 London’s attractions, such as Natural History Museum London, Science Museum and Imperial College London, are within a 10-minute walk of the Egerton House Hotel London. It is also a five-minute walk from many attractions, including Victoria and Albert Museum and Harrods.